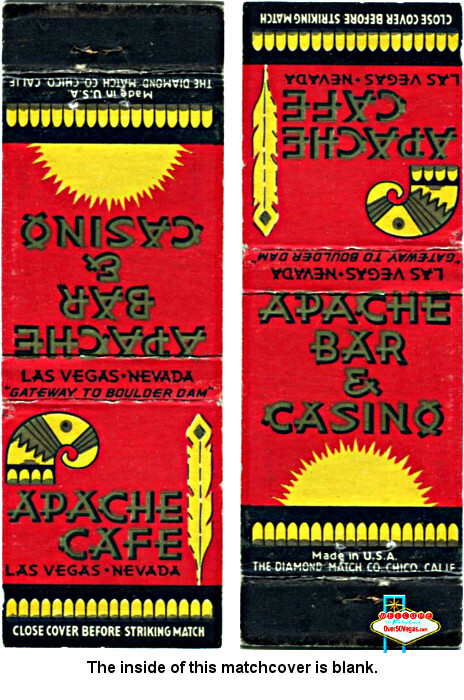 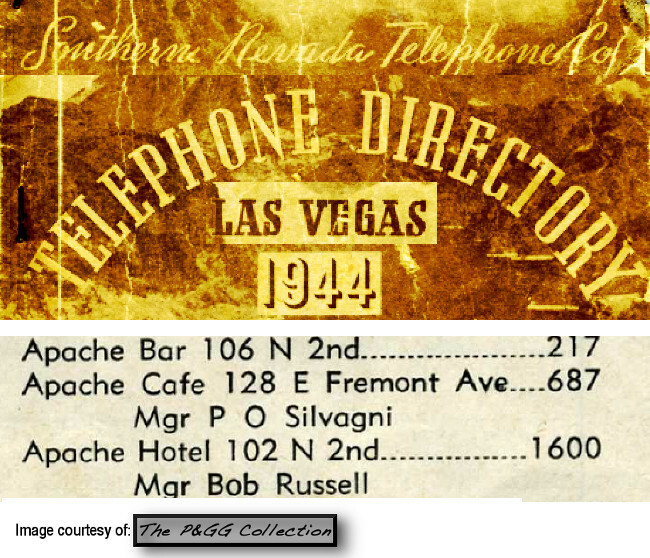 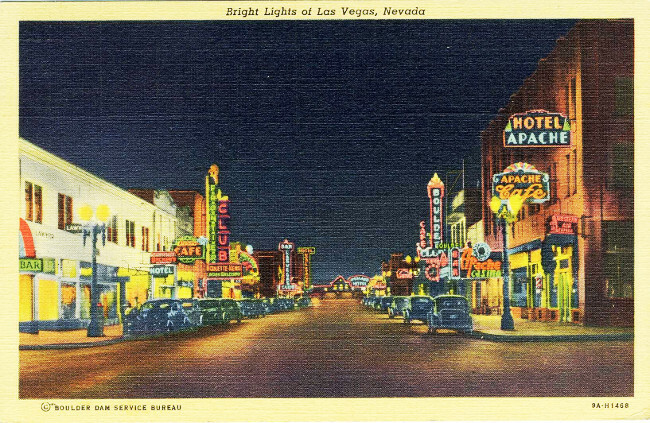 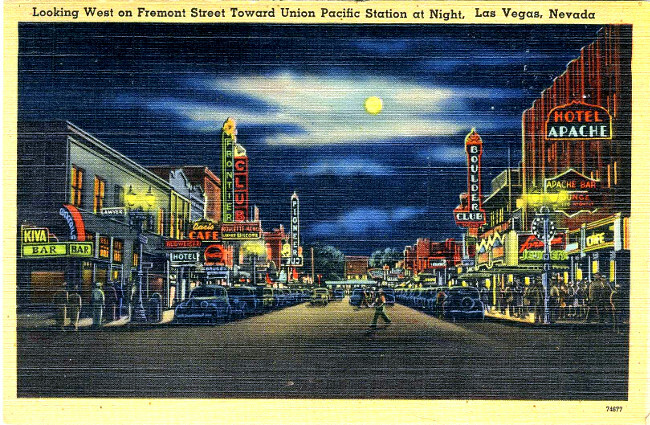 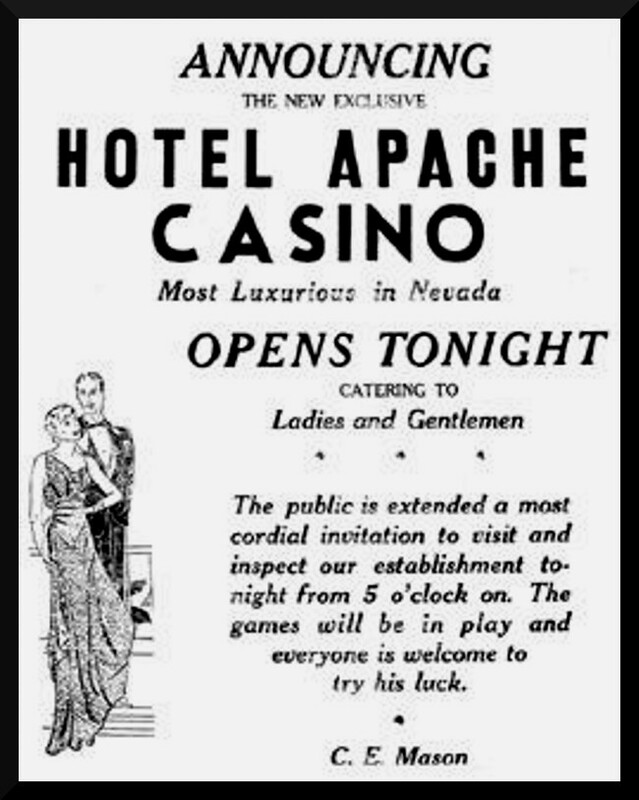 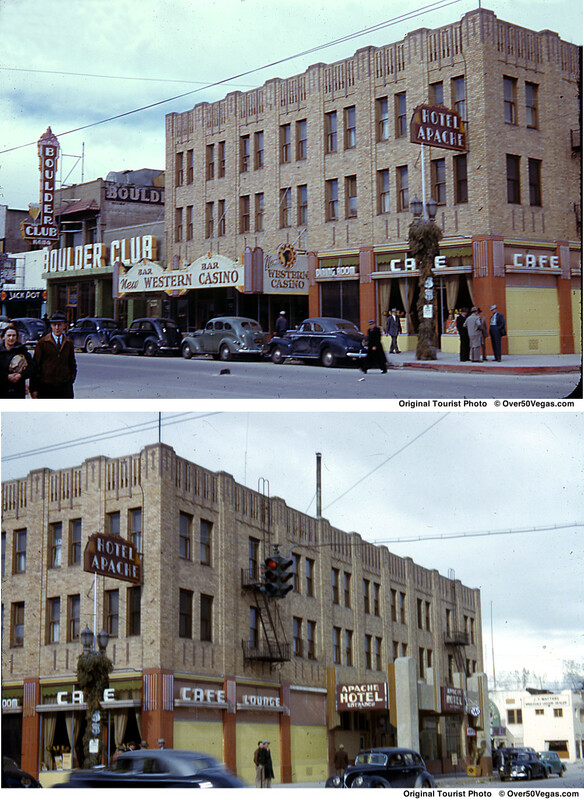 Mrs. Clark Gable played roulette at the Apache while establishing her Nevada residency. 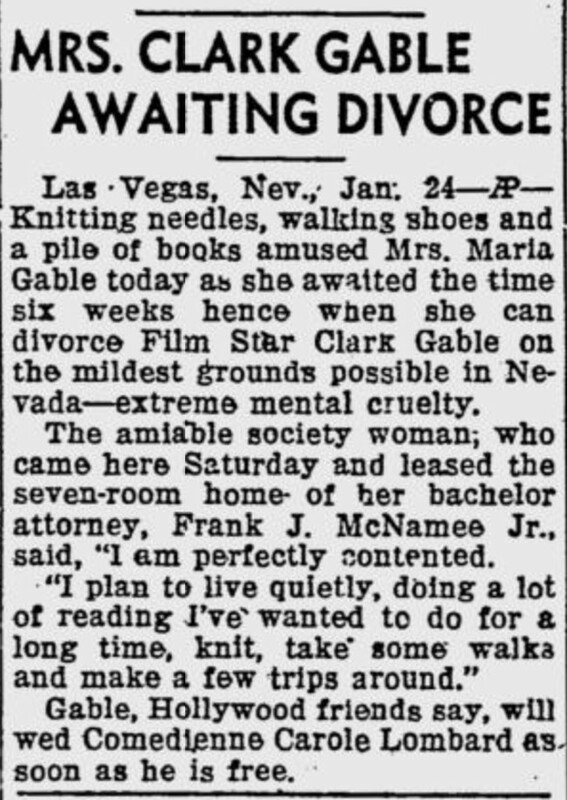 She visited Las Vegas in order to divorce her husband, the Hollywood idol, Clark Gable. 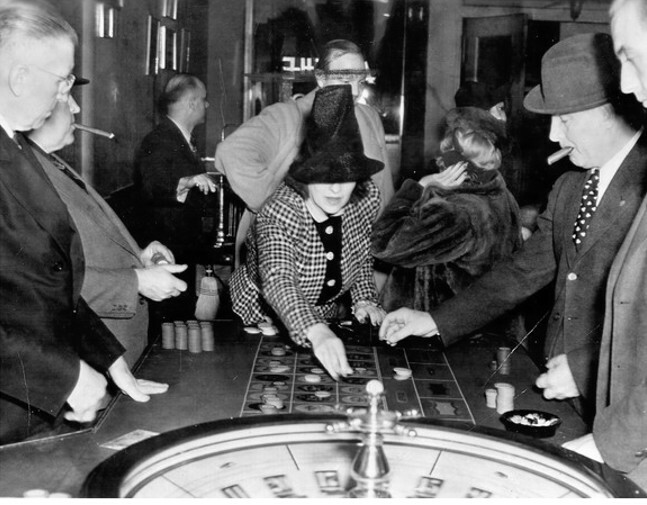 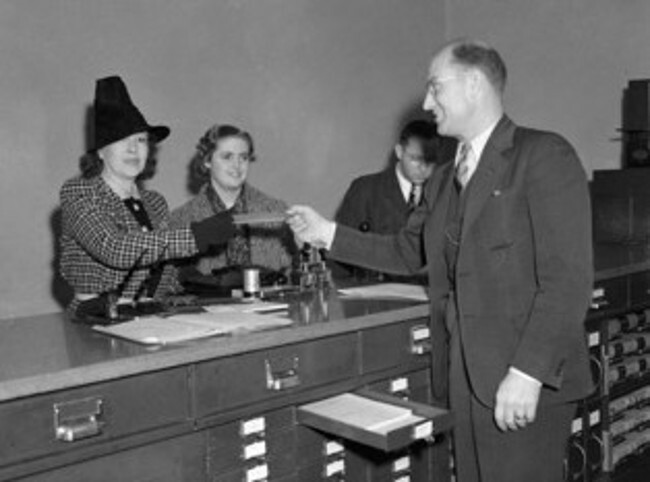 Mrs. Ria Gable, wearing the same hat and jacket she wore while playing roulette at the Apache, exchanges paperwork for her divorce from Clark Gable. 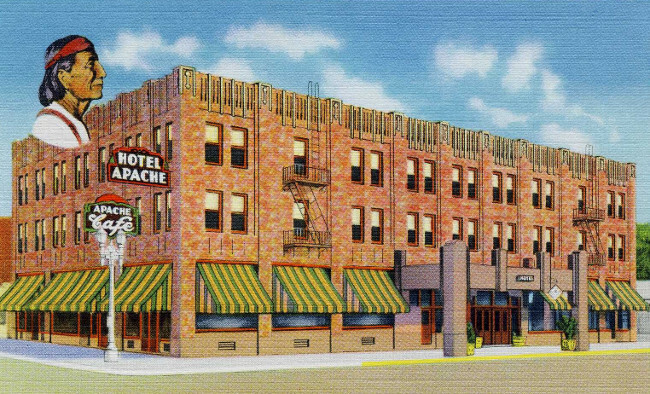 A rare color tourist photo of the Apache Hotel with the New Western Casino. 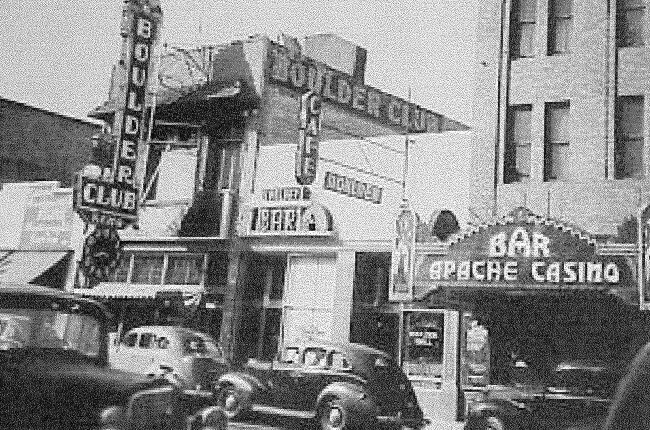 Next door is the Boulder Club and the Jackpot. 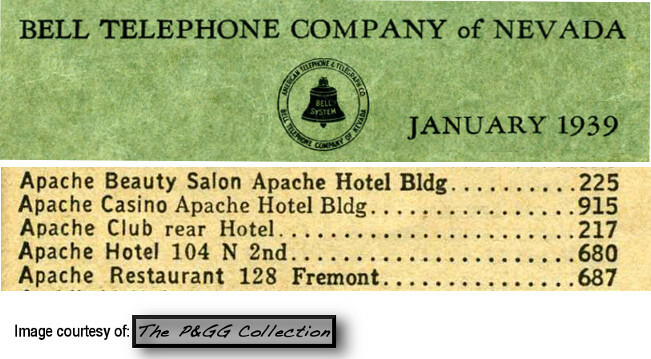 It also shows the entrance to the hotel at 102 N. 2nd Street.